Great book I would recommend this to any one so inspiring. In his first bestseller, Financial Peace, Dave Ramsey taught us how to eliminate debt from our lives. 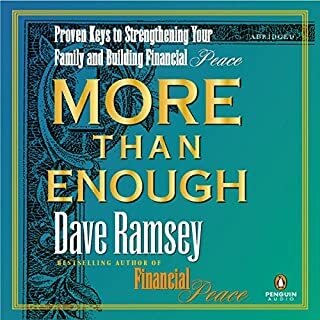 Now in More Than Enough, he gives us the keys to building wealth while also creating a successful, united family. 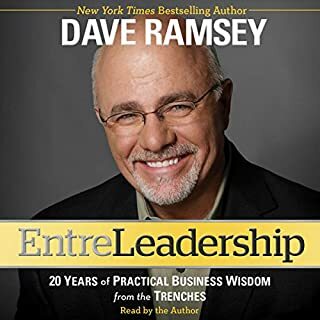 Drawing from his years of work with thousands of families and corporate employees, Ramsey presents the ten keys that guarantee family and financial peace, including: values, goals, patience, discipline, and giving back to one's community. 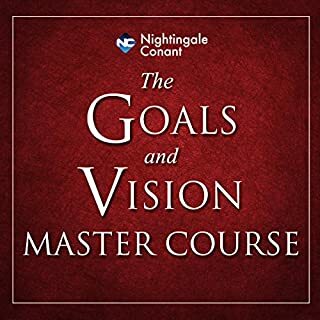 Using these essential steps anyone can create prosperity, live debt-free, and achieve marital bliss around the issue of finances. 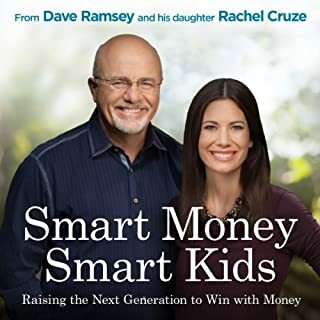 Dave Ramsey knows what it's like to have it all. By age 26, he had established a four-million-dollar real estate portfolio, only to lose it by age 30. 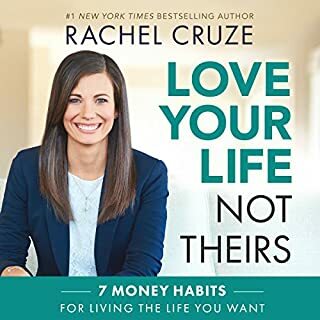 He has since rebuilt his financial life and, through his workshops and his New York Times business best sellers Financial Peace and More than Enough, he has helped hundreds of thousands of people to understand the forces behind their financial distress and how to set things right-financially, emotionally, and spiritually. If you’re not religious or aren’t Christian, this book might be a bit hard to swallow. 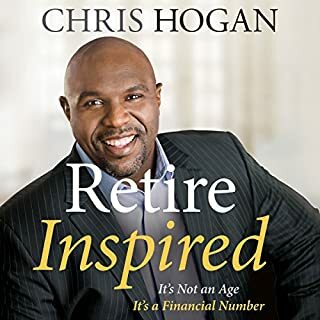 If you can get past all the church and god references, there is great financial advice to be had here. 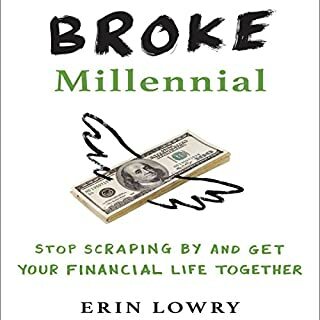 Good book with lots of useful information, but it's not much different from The Total Money Makeover. 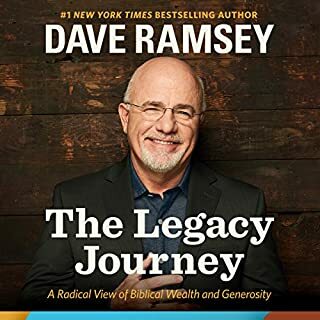 Mostly the same information with a little more background on Dave Ramsey, who's much better at narration than the one in this book. 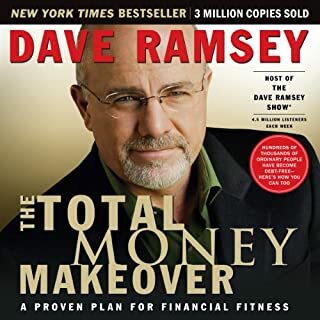 I have listened to daves other book - the total money makeover more than 40 times. I bought this book thinking it might add some additional insights, but was disappointed. The difference between the two is that in the total money makeover, dave has a very succinct programme for us listeners to follow. In financial peace, it is more of a rambling journey interspersed with religious references. Clearly dave has developed his programme over time and it shows through in the total money makeover. 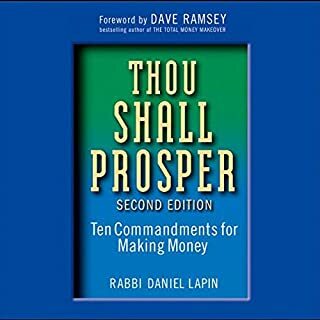 the other reason to recommend total money makeover, over financial peace is that dave narrates his later book. 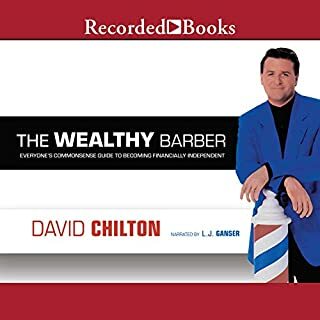 In this book it is someone else who does not portray the same passion and motivation that dave brings to total money makeover. 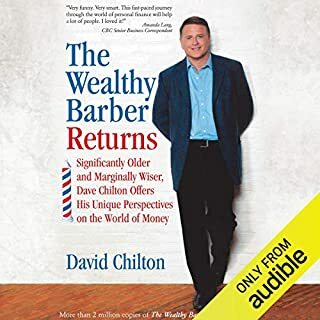 I listen to daves book every month and despite being a brit, living in britain, the key messages are just as applicable. I am working my way out of debt using caves programme. 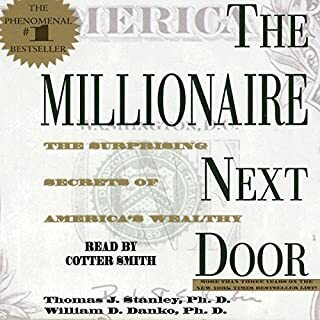 I strongly recommend any listener to look at total money makeover rather than this book as you will be better motivated, have a clear structured programme and be more likley to get out of debt and become wealthy. I have been through Financial Peace University and listened to Dave Ramsey's radio show many times. Though the information in this book is great, there is not really new information. It wasn't that the reader was bad it just didn't have the feel of being delivered by Dave. It felt stilted after listening to FPU. Of course this is to be expected as Dave is delivering it more or less live and not reading from a book. 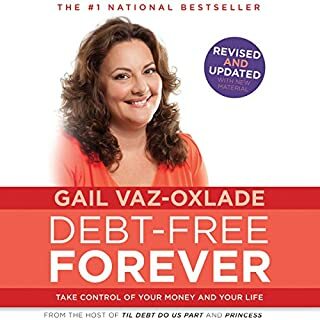 What did you love best about Financial Peace Revisited? This edition of the Financial Peace book covers the basic principals of budgeting and cash management including establishing a workable monthly budget, the Envelope System, getting debt-free, and strategies for developing an emergency fund and long-term savings. Dave and Sharon both share their experiences in having it all, the embarrassment and shame of losing it all, and rebuilding their financial lives step-by-step. The book is a helpful and pleasant read. I could hear Dave's "voice" in the words. 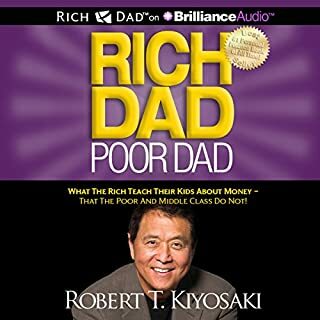 If you're interested in the topic of personal finance, this is one of the books you should read. It's the kind of advice you'd get from your parents or a trusted aunt/uncle, the voice of experience. What was one of the most memorable moments of Financial Peace Revisited? I enjoy the "realness" of Dave and Sharon Ramsey. They share their successes, failures, and what has been learned along the way. I really enjoyed the tips that are offered. I am implementing some of the tips slowly, but I am excited about the end result. 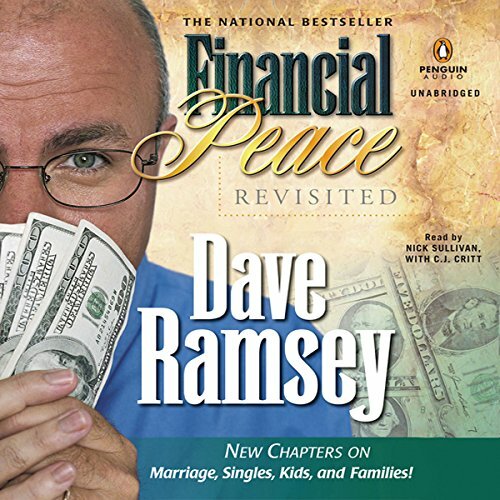 Dave Ramsey has an excellent way of conveying the principles of gaining financial peace. I have really enjoyed all of his books. 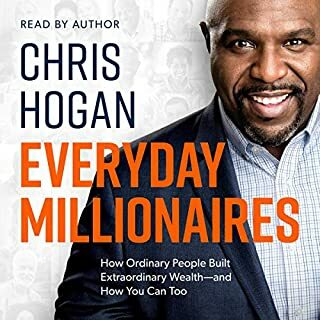 This is a great book if you did not listen to "The Total Money Makeover". I thought this book was just the same information in that book in a slightly different format. It is not really updated for current times. For instance, it still talks about 18% interest in a good mutual fund. Have you listened to any of Nick Sullivan’s other performances before? How does this one compare? Nick did a great job, but he did such a good job of sounding like Dave that it was a little eerie. Do you think Financial Peace Revisited needs a follow-up book? Why or why not? Yes, and the numbers in there need to be updated for post 2009. 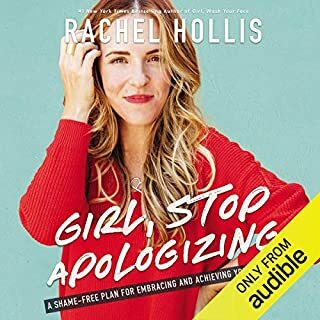 I bought both this book and Total Money Makeover and now I regret it. 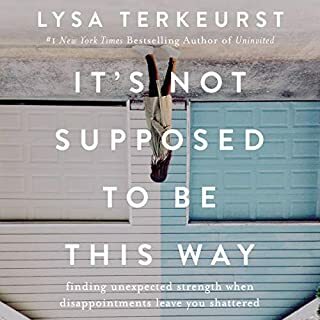 This book is good but I enjoyed TMM way more! The book was great the only thing I wished it was that it was updated even further. You can tell that some of the examples are obviously outdated. Otherwise a great book full of excellent principles. A collection of short stories from his past yadda yadda yadda. Some common knowledge that doesn't really do anything or say anything is pretty much how I would sum up this book. Compréhensible, assez détaillé pour un connaisseur et expliqué avec la simplicité nécessaire à un non initié en Finances. Narrative vivante et très proche de la réalité de tous les jours.